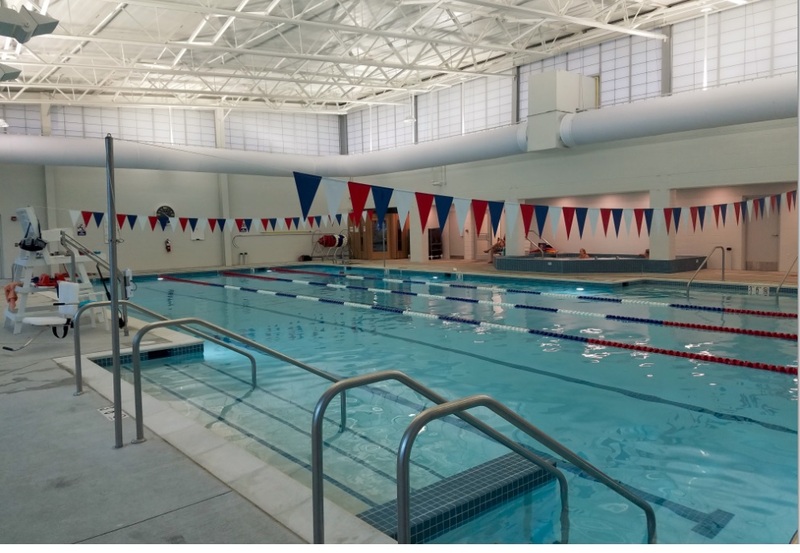 * Currently Rec badge fees range from $12 to $20/person/week off season and $40/person/week from Memorial Day to Mid-September. 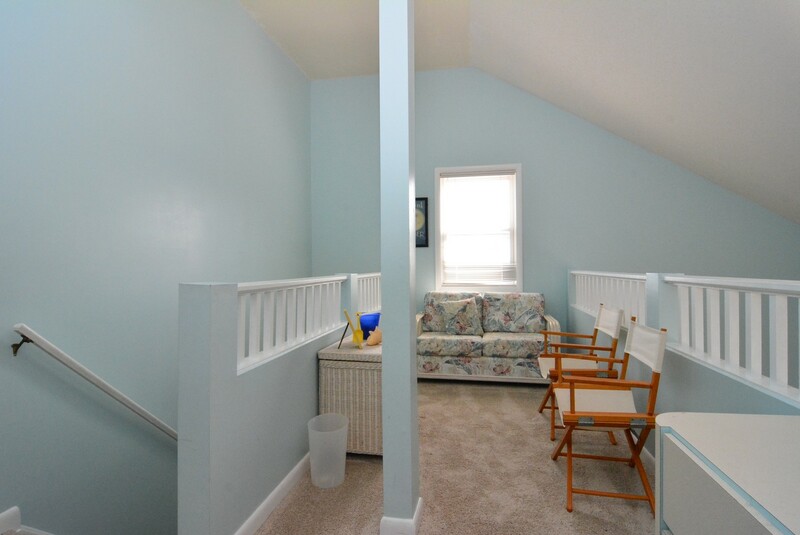 The photographs on this page are up to date. 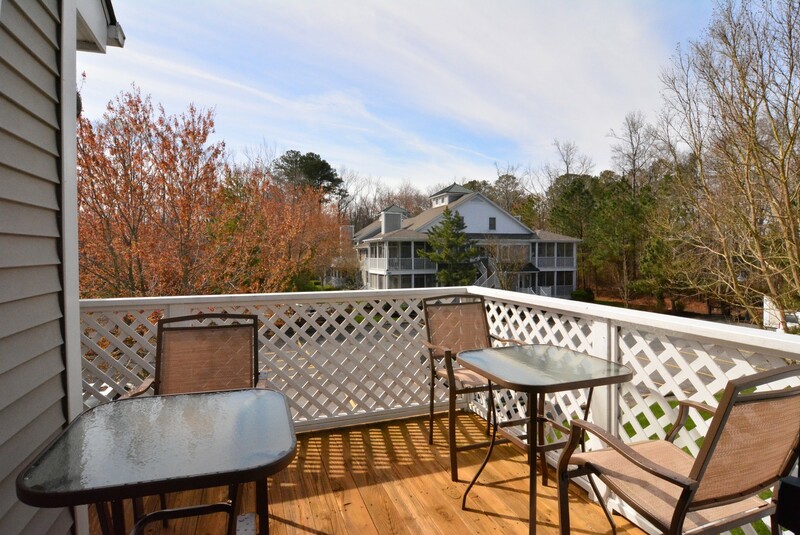 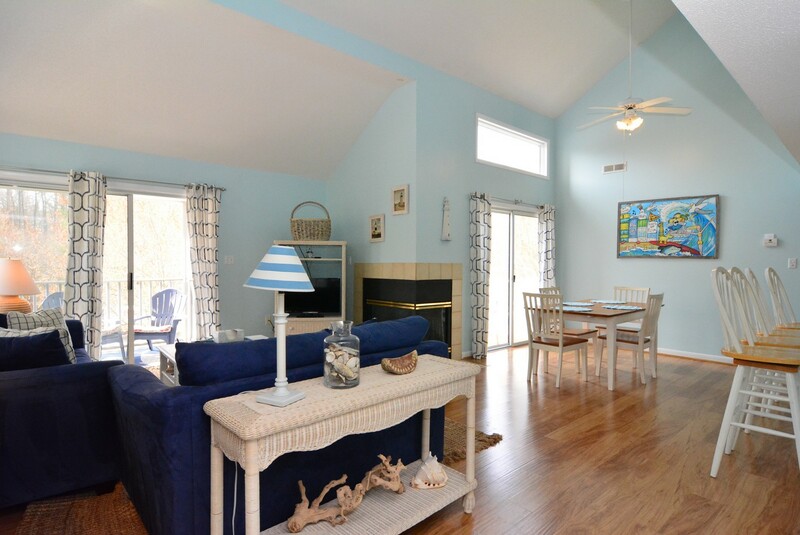 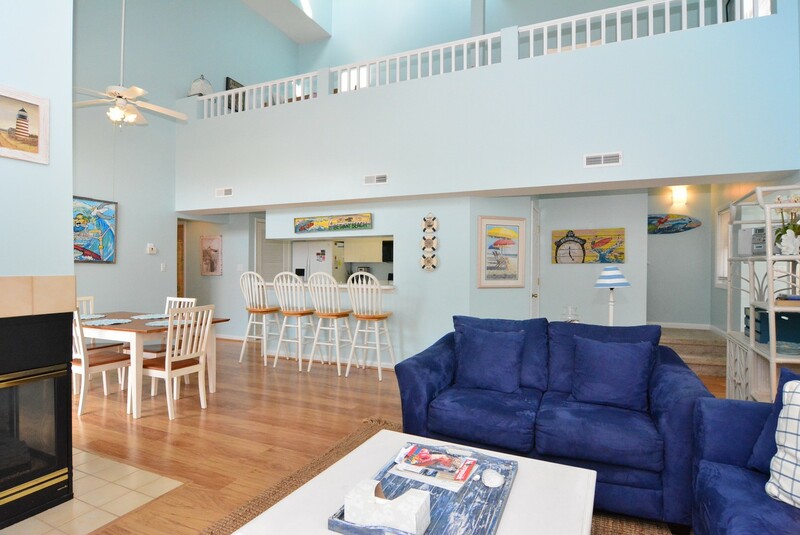 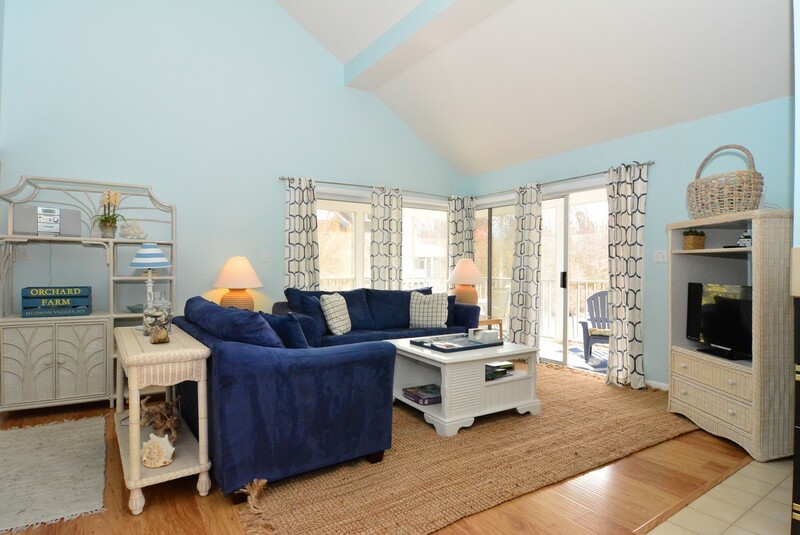 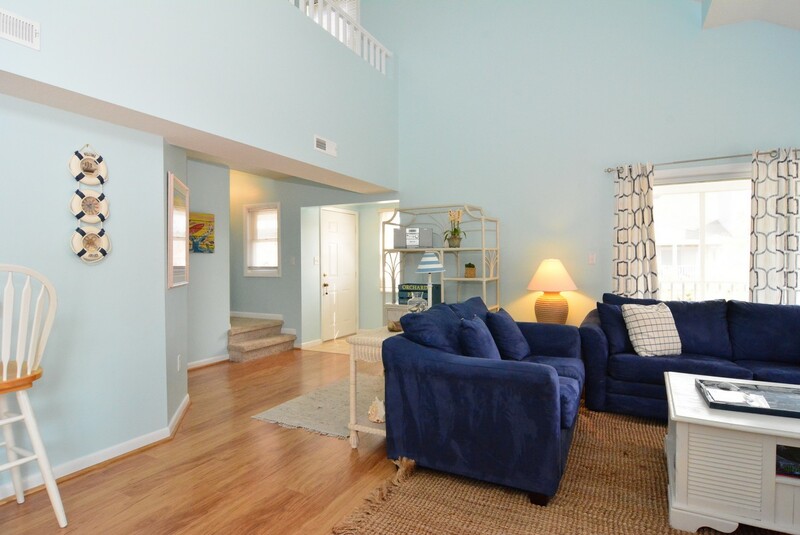 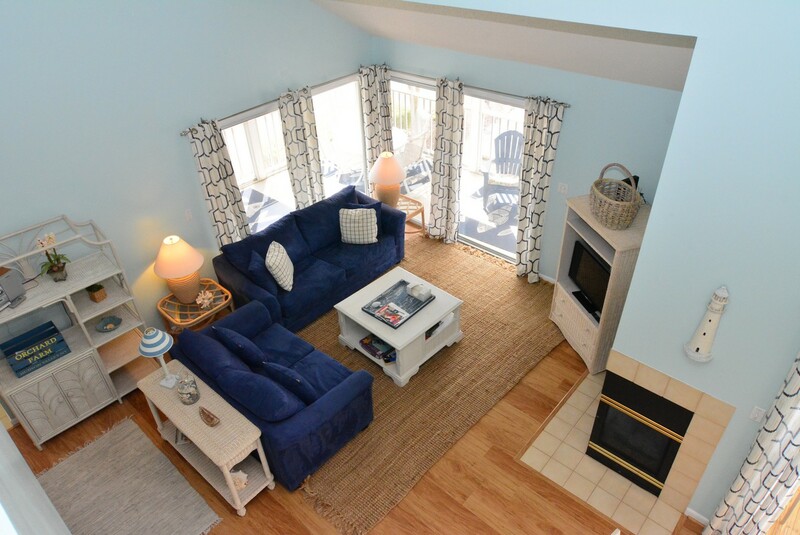 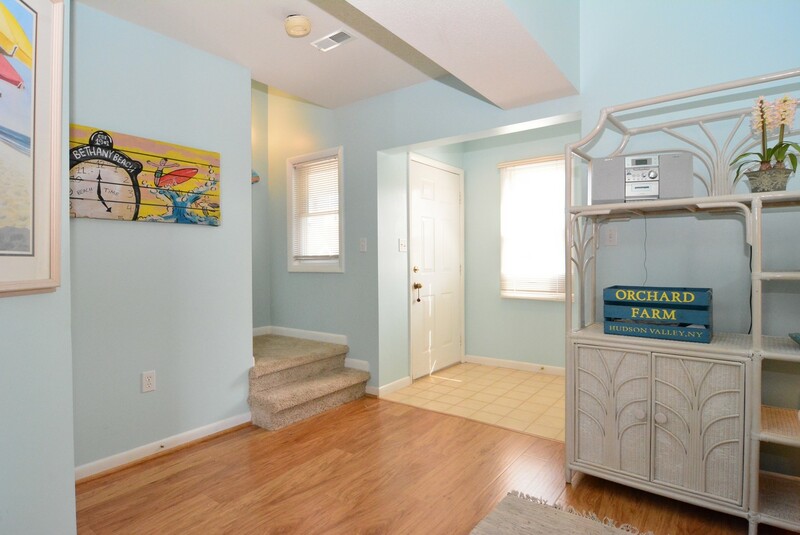 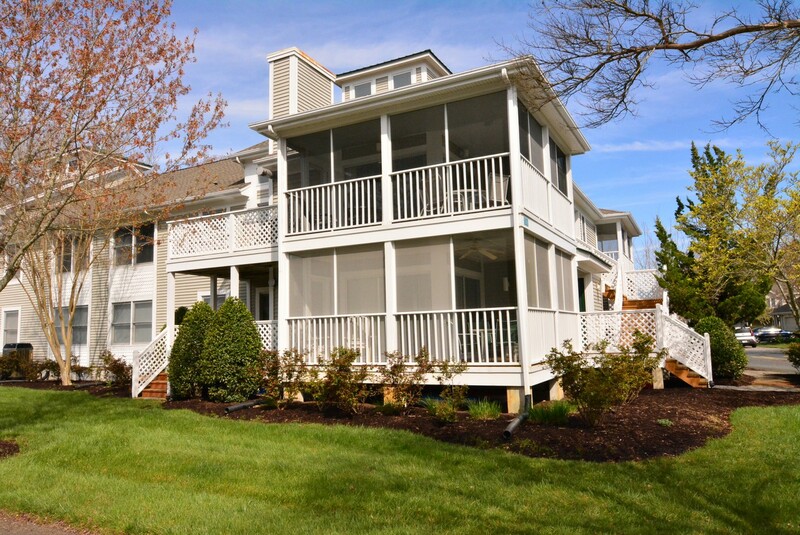 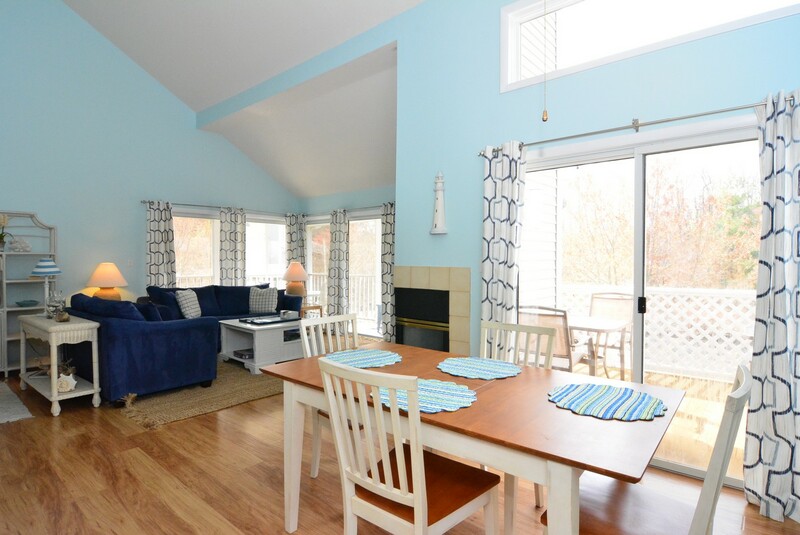 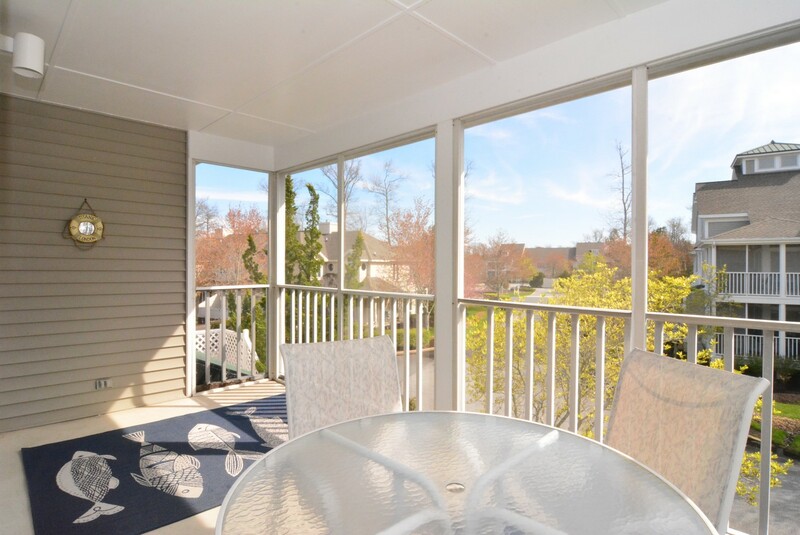 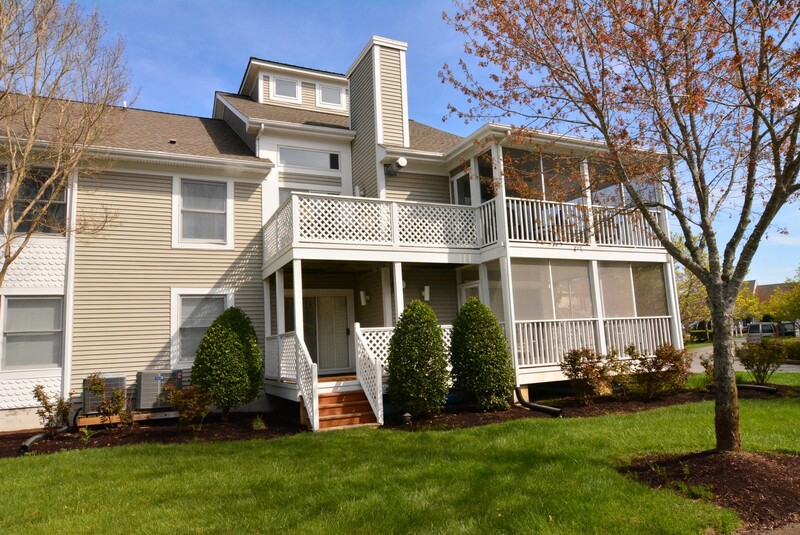 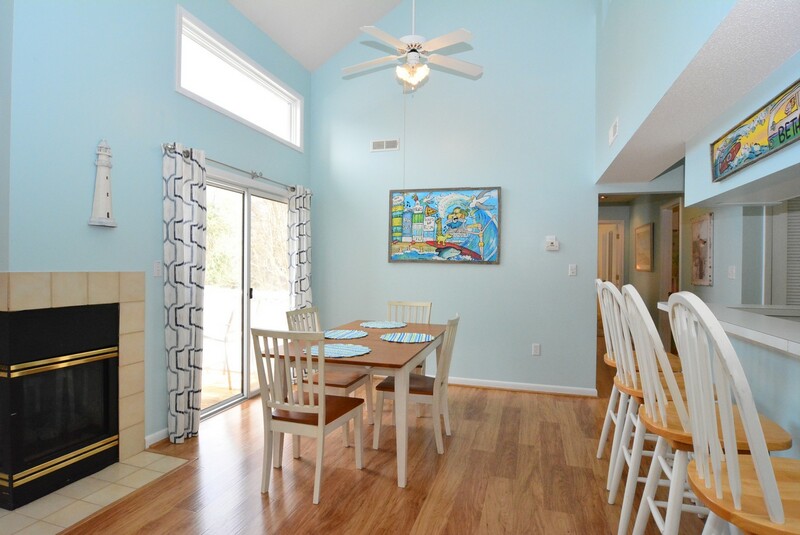 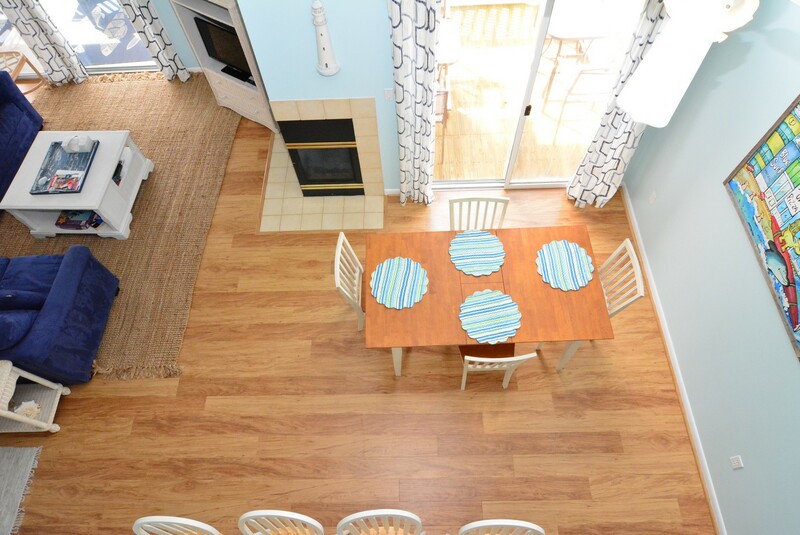 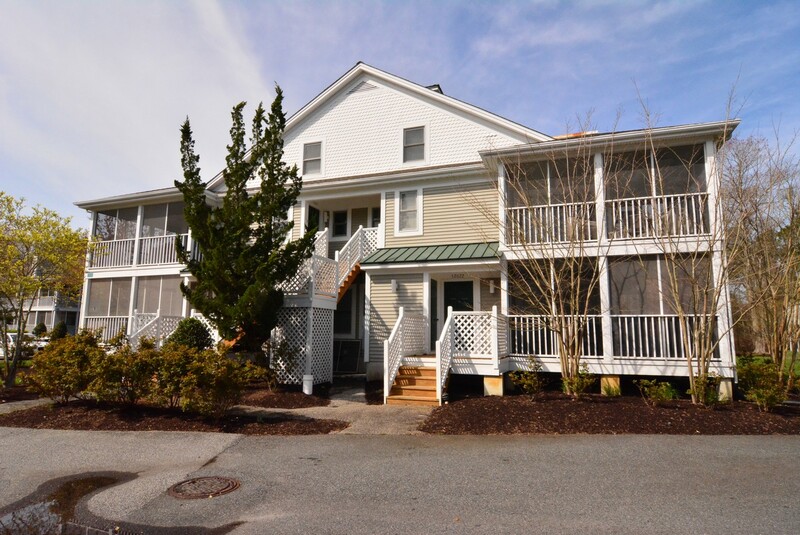 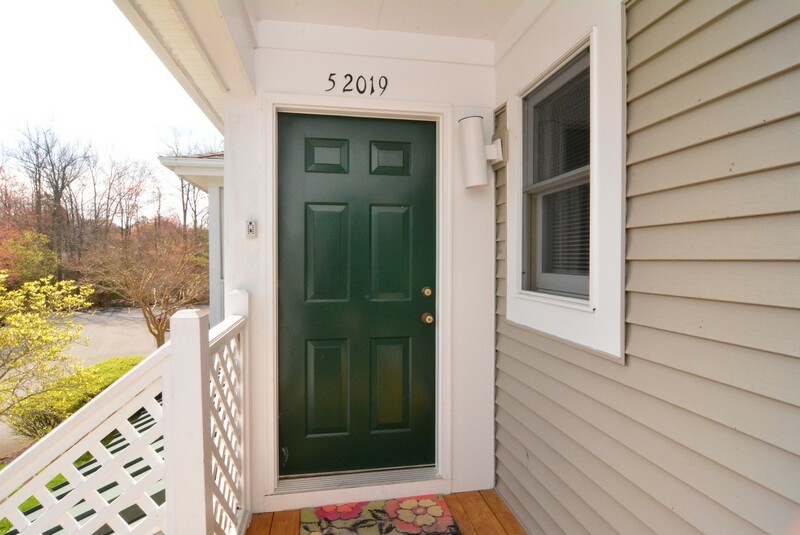 This Veranda-style unit includes 2 bedrooms, 2 bathrooms plus loft and is located within the Tennis community of Delaware's Beachfront resort of Sea Colony. 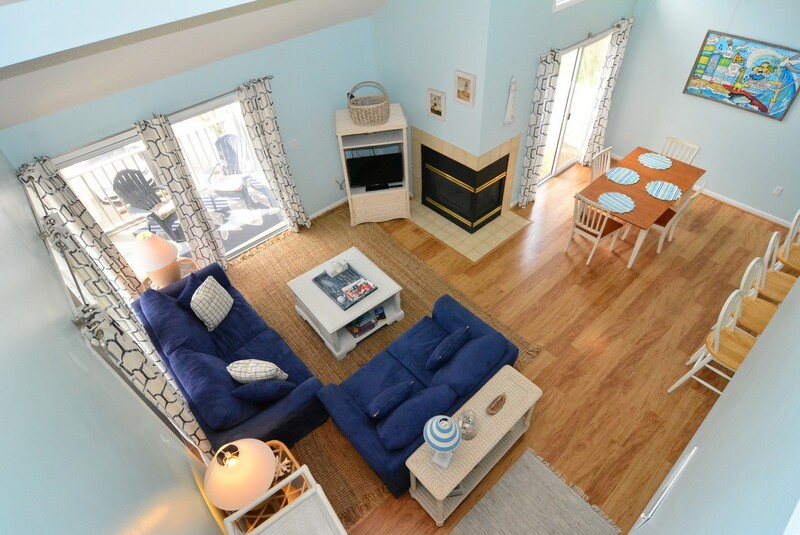 The unit opens up to a two-story Great Room with a full gas running fireplace to warm you up quickly after a swim and air conditioning to cool you off after a tennis clinic. 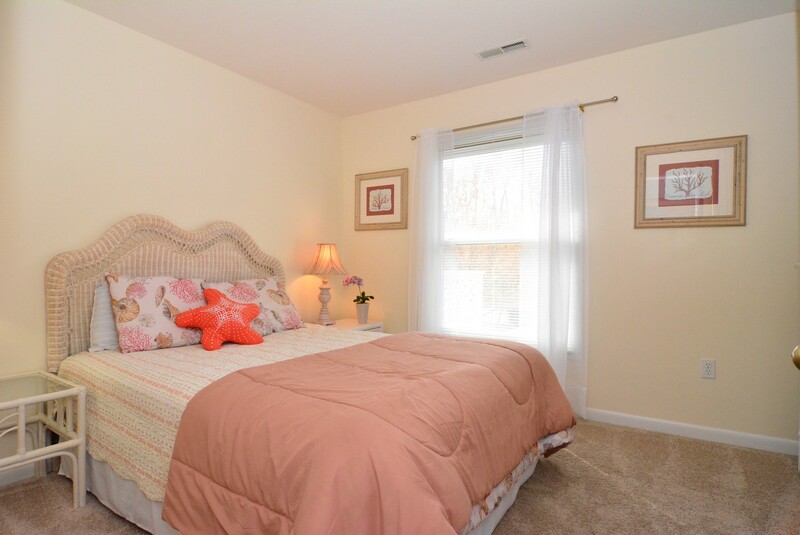 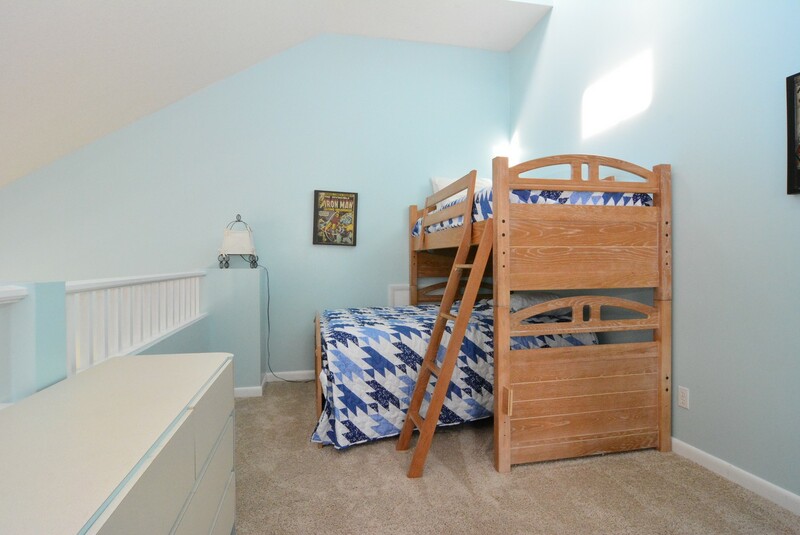 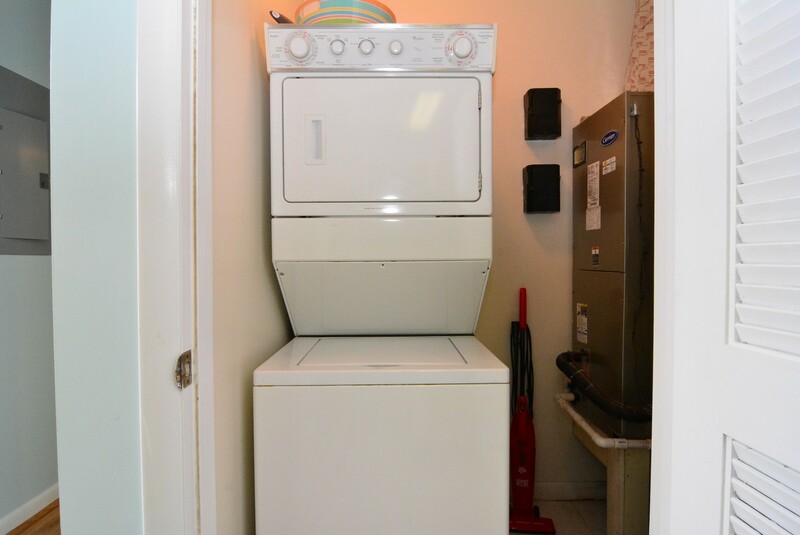 This unit was professionally decorated and sleeps up to eight comfortably. 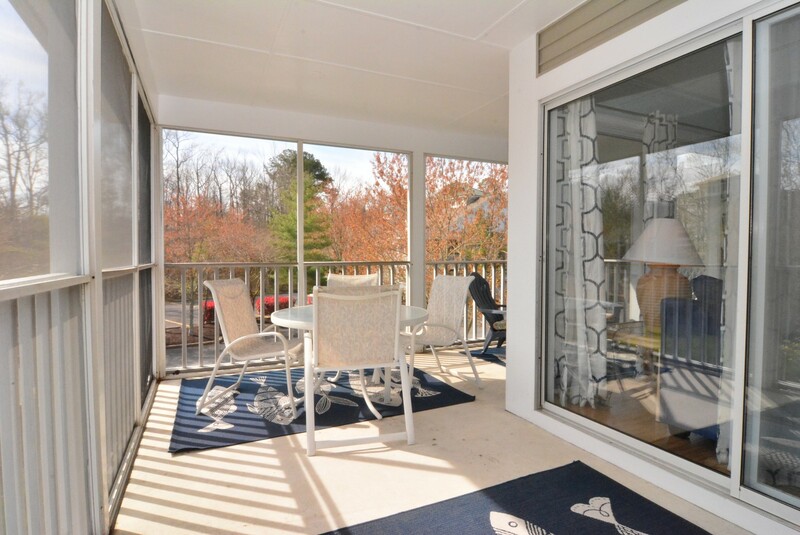 The fully screened wrap-around porch is romantically furnished with a glider-for-two and dining area for a romantic evening in. 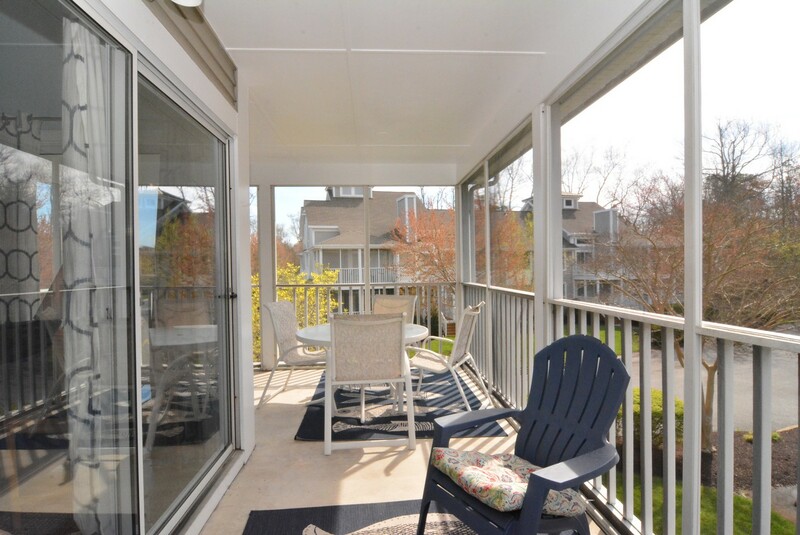 In addition the private sun deck allows plenty of privacy as well as generous viewing area. 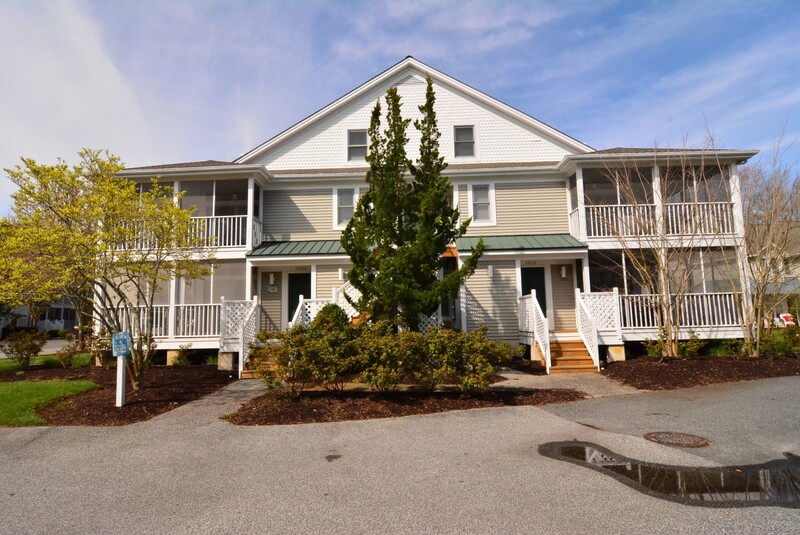 52019 Canal Court backs up to the Assawoman Canal, perfect for crabbing. 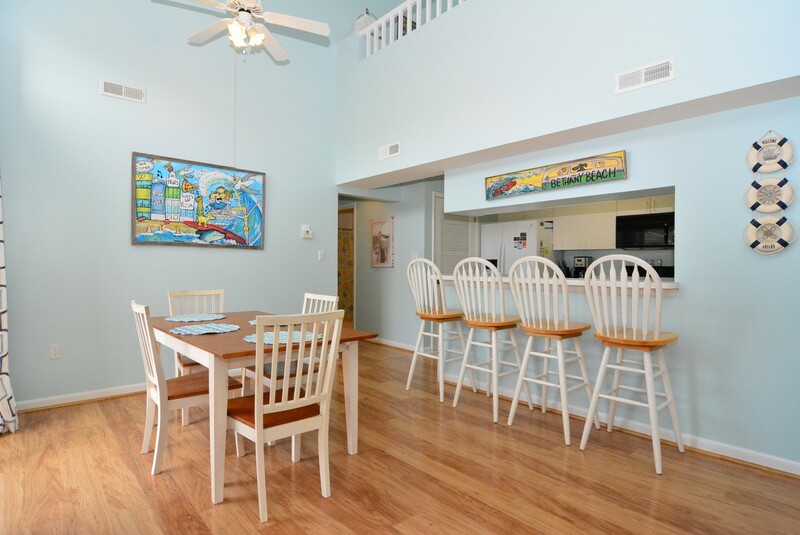 It is centrally located just a few feet away from the year-round private Sea Colony Fitness Center. 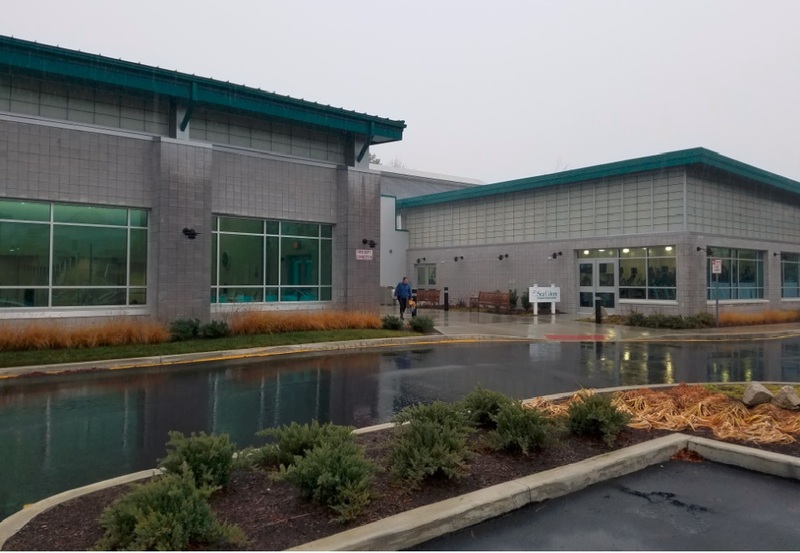 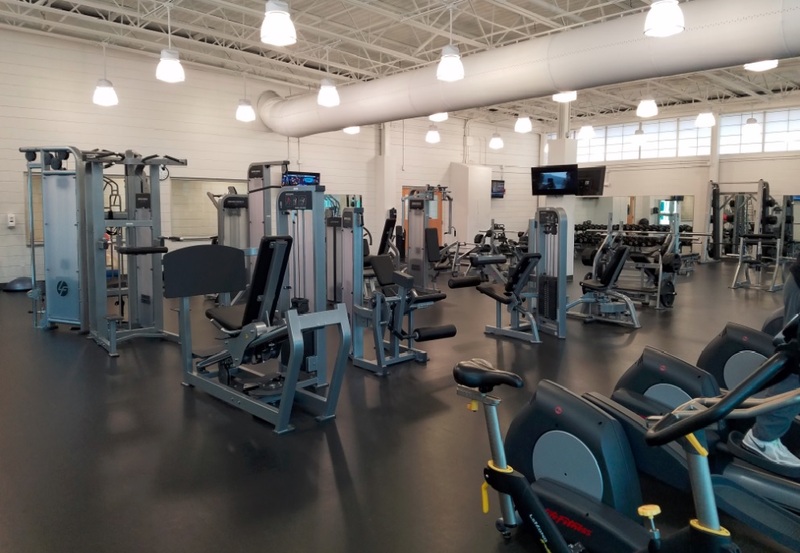 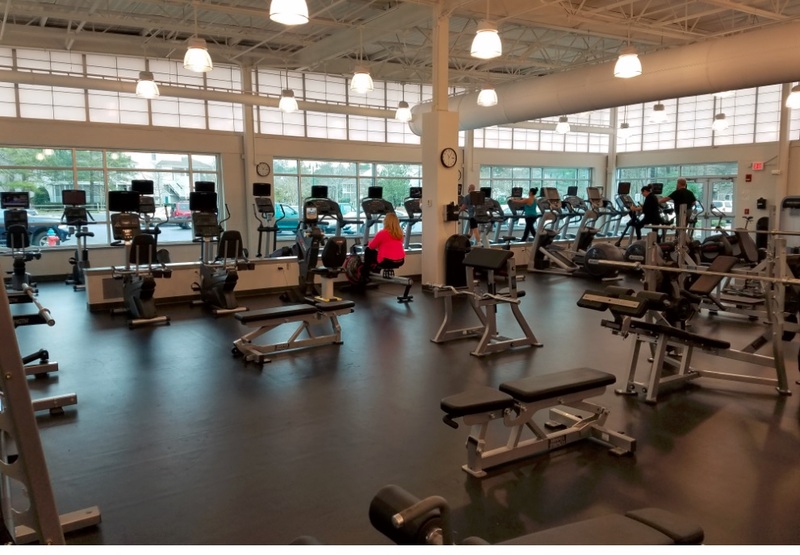 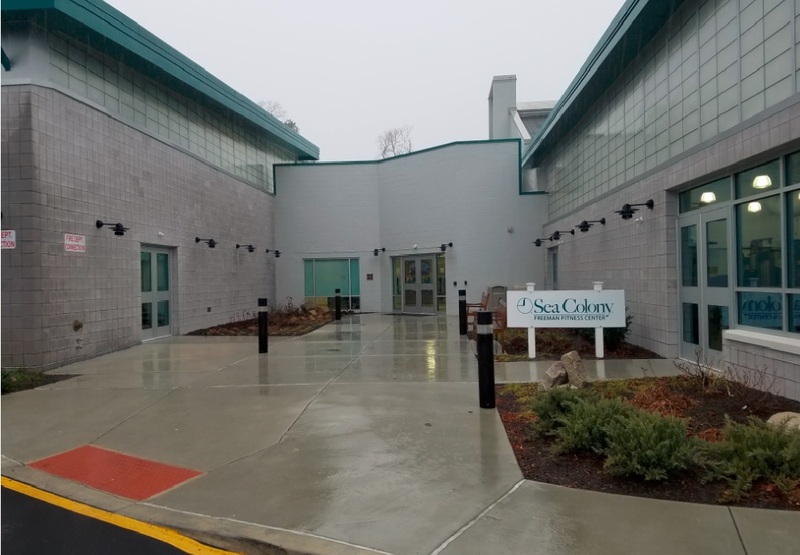 Your unlimited use of the indoor pool, outdoor pool, sauna, hot-tub, fully stocked work out room, and multi-purpose gymnasium (for basketball and indoor soccer) is included in your recreation fees. 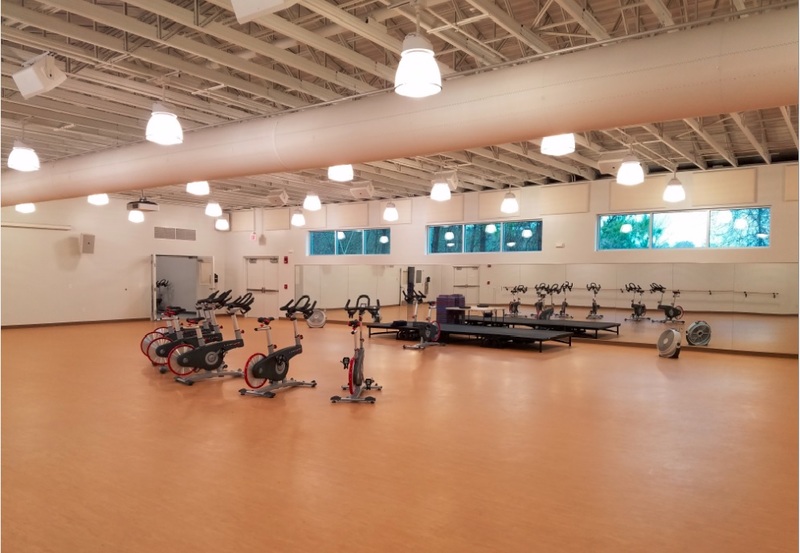 There are also spinning, pilates and other aerobic classes available for a nominal fee. 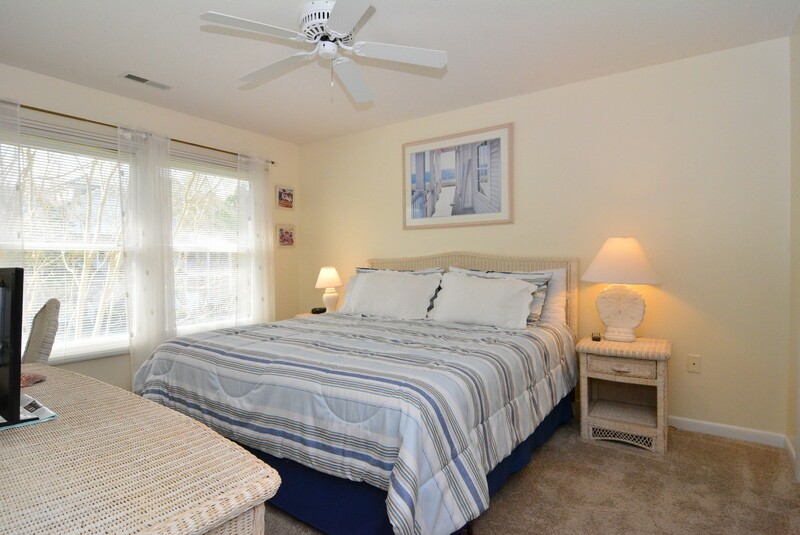 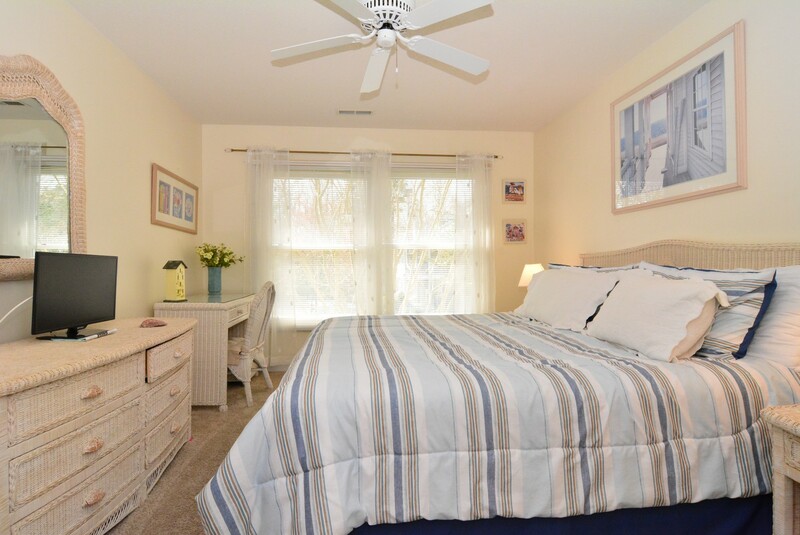 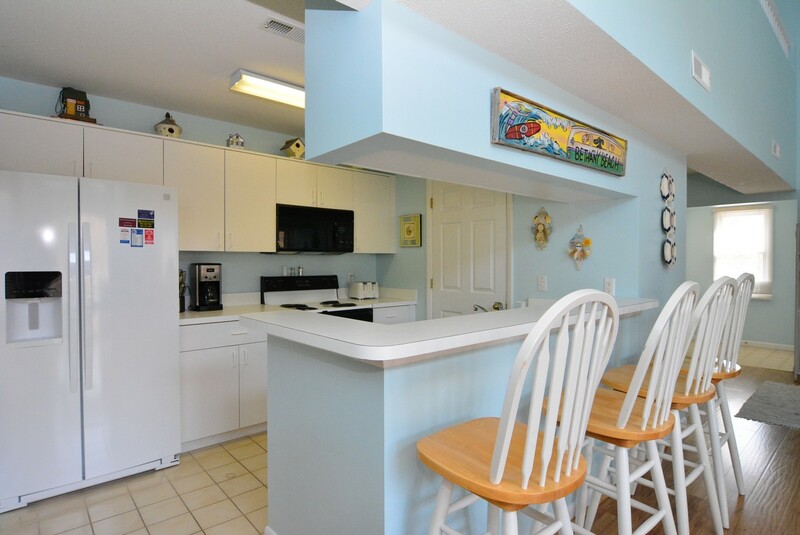 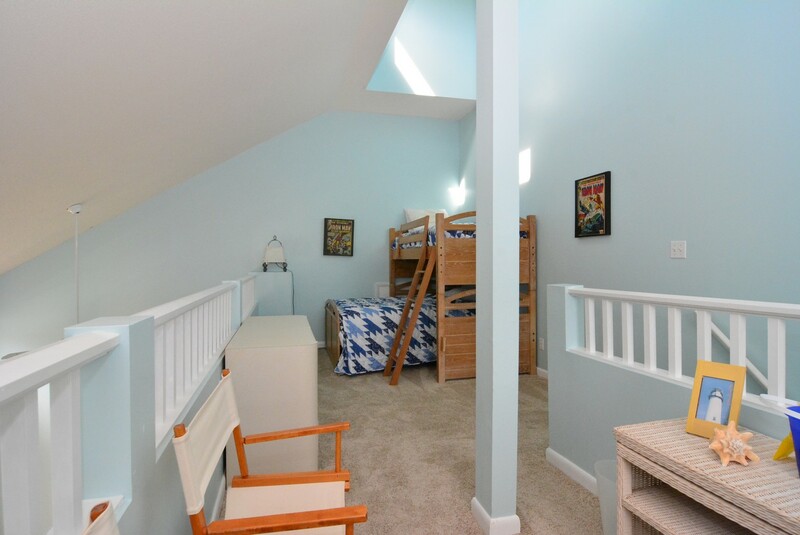 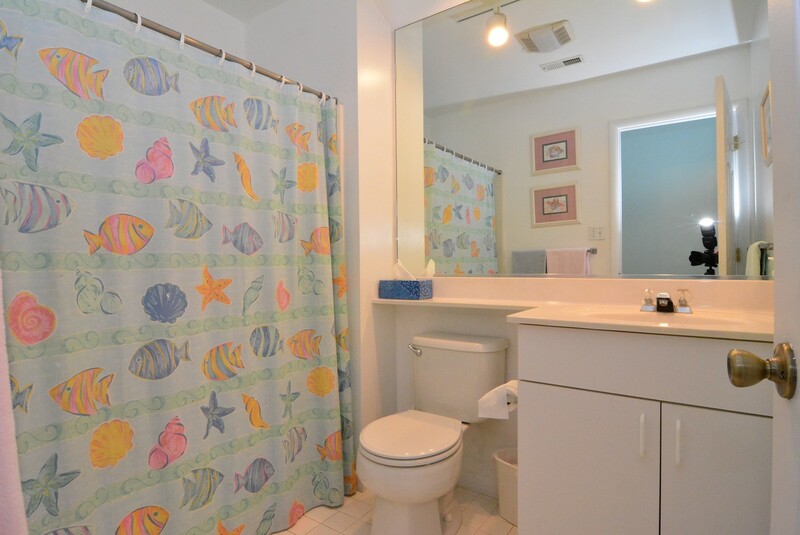 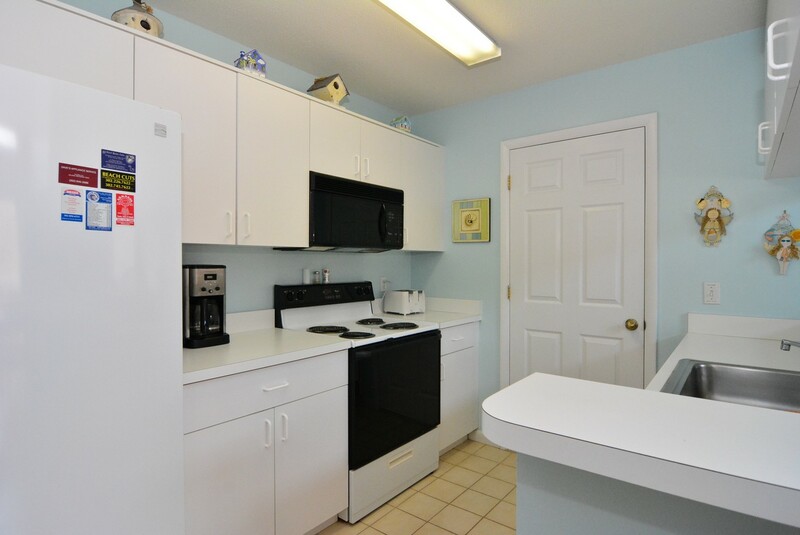 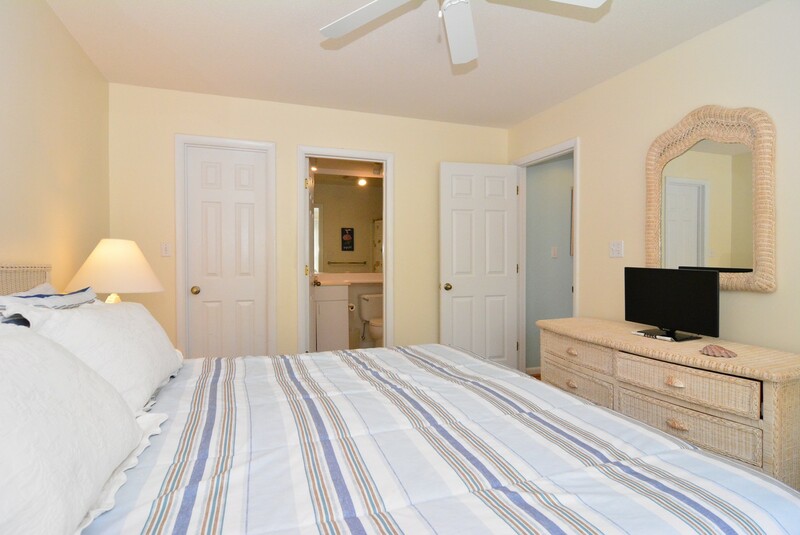 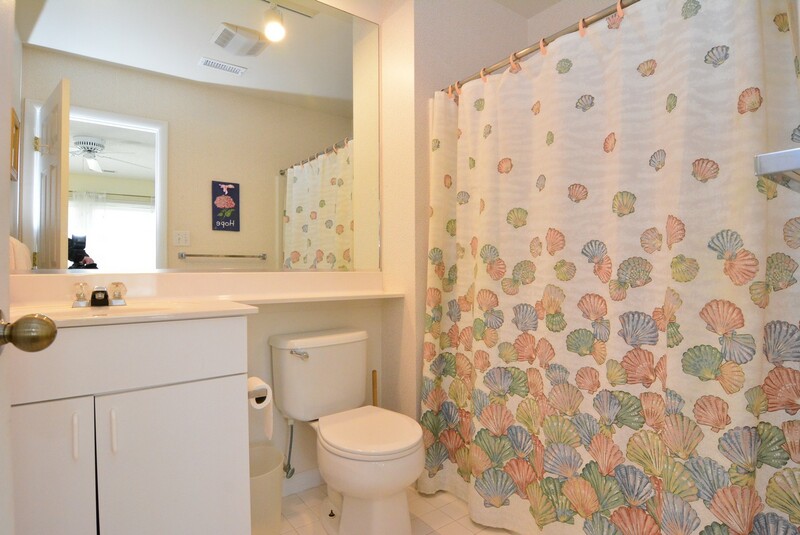 The unit is also a short walking distance to the year round Sea Colony Tennis Center. 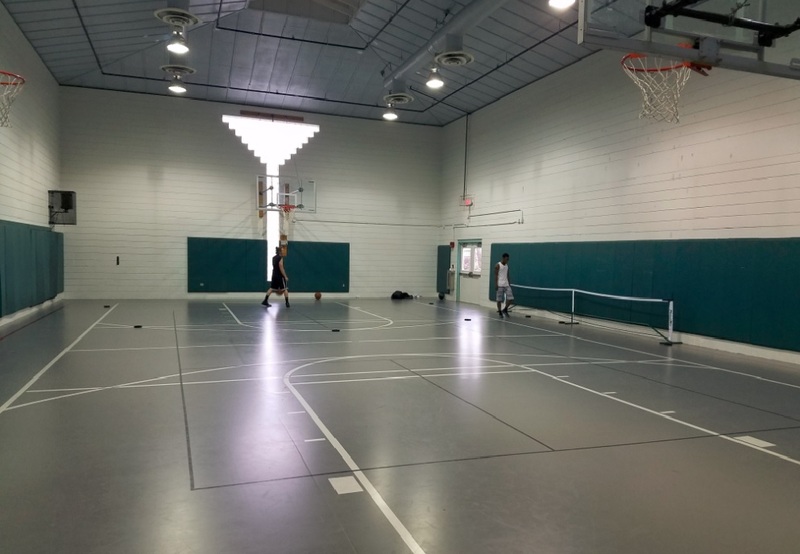 Your use of any of the 36 indoor and outdoor (hard and har-true) tennis courts at Sea Colony is included in your lease. 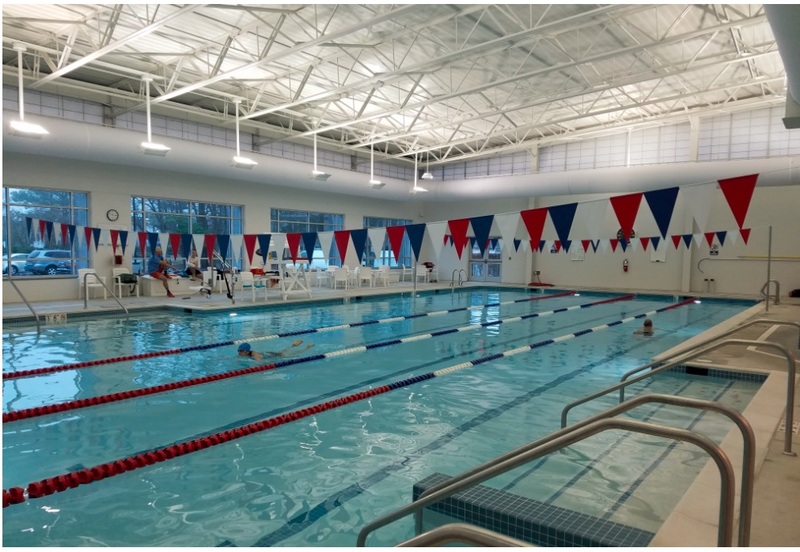 World class adult and junior tennis clinics are available at competitive rates. 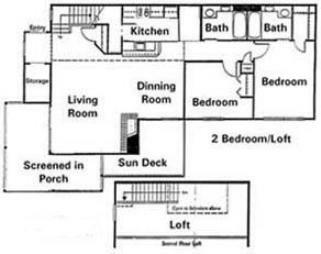 20% deposit on confirmation. 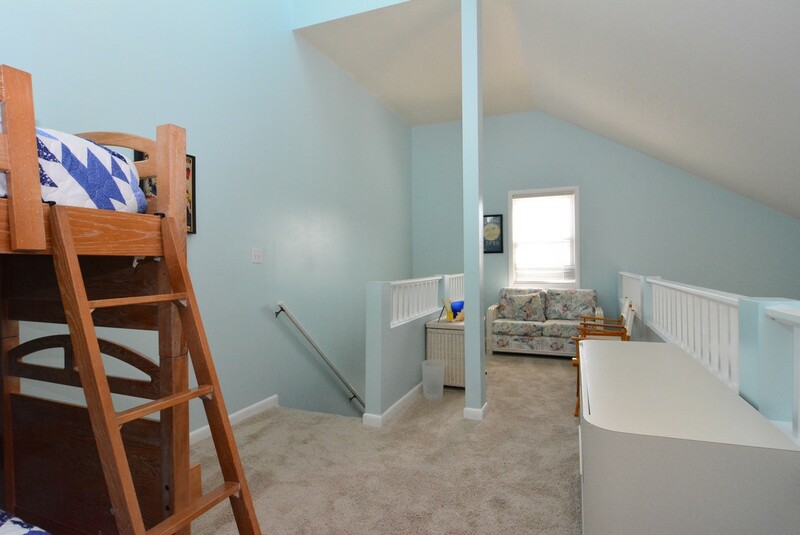 Balance 30 days prior to arrival.